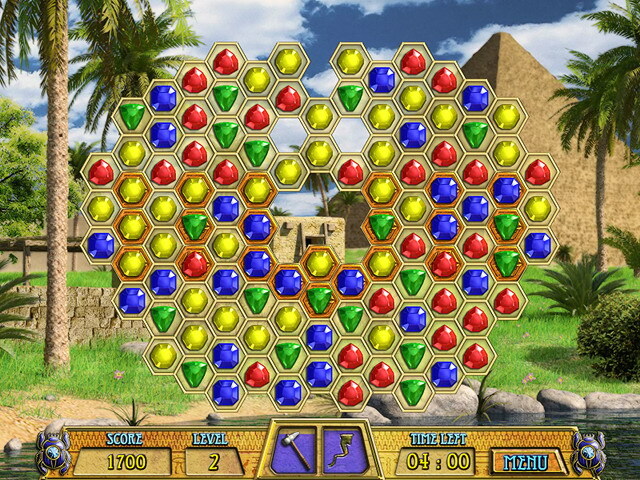 The game task is to destroy all stone tiles. 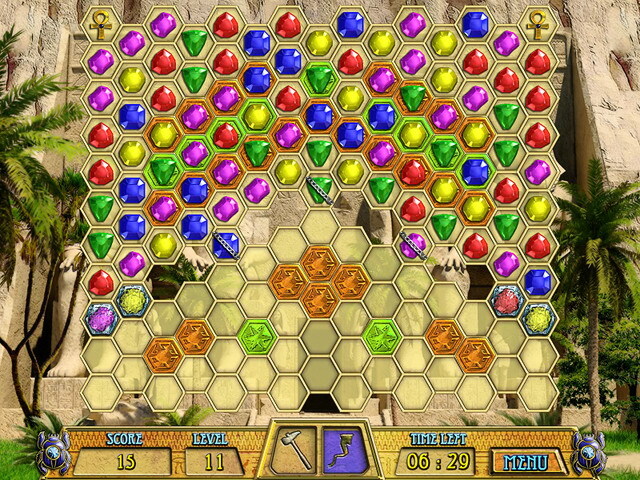 Form the chain of three or more jewels of the same color by clicking at one figure and drag to other adjacent figures of the same color and all of them will disappear. If there is a stone tile under the jewel from the chain it will be destroyed. 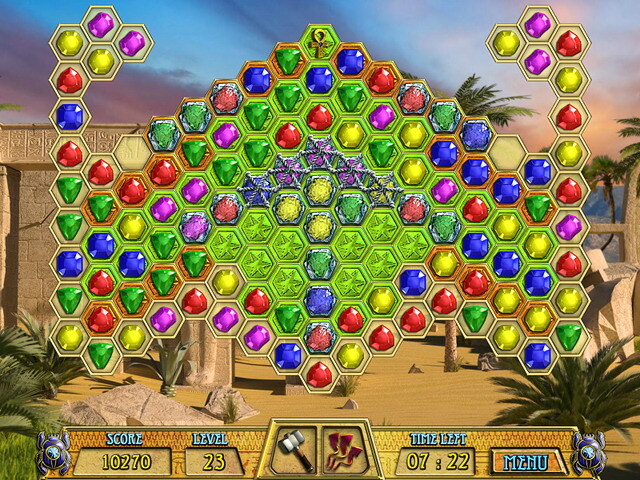 Enjoy the excellent graphics, melodious music, numerous levels, and unique fun bonuses in this terrific Bejeweled-style match 3 game!